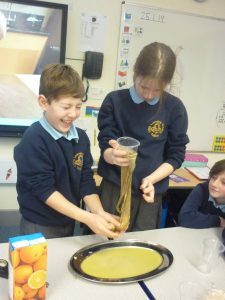 Oak Class are learning about the digestive system and last week helped with a practical demonstration of how it all works. 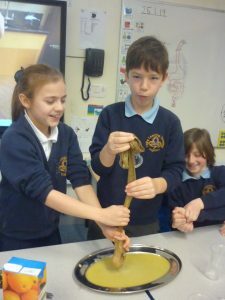 Banana, orange juice, crackers and water were all squashed up and then transferred into a stocking (the small intestine). The liquid that ended up on the tray below represented the nutrients absorbed by the body for growth and energy whilst the food remaining inside the stocking represented waste that the body is unable to absorb. 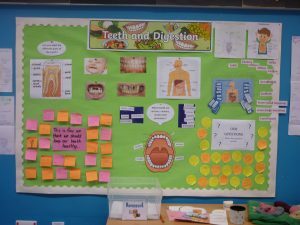 A great way to visualise the process of digestion!